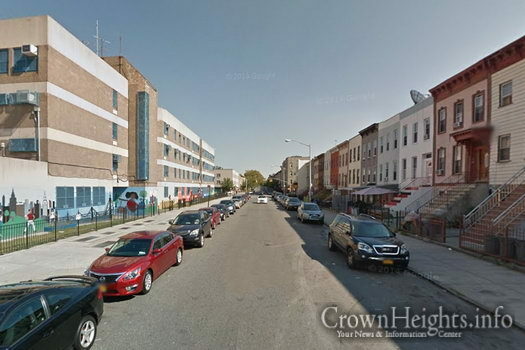 The boy was returning home from summer classes when he dashed into the street between two parked cars in front of the school on Sterling Place near the corner of Troy Ave. The driver of the vehicle remained at the scene and called for emergency help. He was not charged with a crime, though detectives are investigating how fast he was going to see if criminal charges are warranted. The boy was taken to the Kings County Hospital in critical condition, where he underwent emergency surgery. He is expected to survive. Glad to hear the boy is going to survive. I hope he grows up to be a righteous member of society. 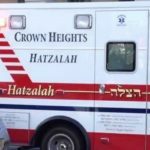 B”H the driver called for an ambulance right away to help save the child’s life. wat time do the riots start ? will the african community burn down the jewish area ?? 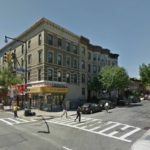 will sharpton come back to crown heights ?? Seriously?!! Those days are WAY over. Please heal him Hashem and, please drive responsibly! Black lives matter?? Why aren’t they protesting?? Surprised that they aren’t calling riots. I guess there are some African americans still out there. what are you saying or trying to say? I always pray that I never ever ever hit anyone or anything. I once had an accident where I hit the side of the road because I was trying to avoid hitting an animal.. How much more awful to hit a human…. I do not envy the driver .. I bet he is having nightmares now…….I imagine he won’t be sleeping too well for quite a while. This goes to show why it’s important to look both ways before crossing the street. Of course drivers must drive responsibly but pedestrians have to do their part too. You’d be surprised at the number of times I’ve seen people crossing without checking for traffic–even my own husband who at age 56 should know better. Sounds like you need marriage counseling to be posting online about your husband like this. No I don’t need counseling–I’ve been happily married for over 33 years and I wasn’t bad mouthing my husband either. I was merely pointing out that people of all ages need to check traffic before crossing the street. We almost got run over when we visited London–we failed to take into account that they drive on the opposite side of the road and this caused us a bit of confusion. I barely missed hitting a little boy getting off a school bus–ran right in front of me without warning. It’s important to keep a sharp eye on traffic and not to take anything for granted and that includes cross walks and stop signs. As a Jewish member of the community we pray for this child to make full recovery. We are sad that this accident occurred and are praying for the child and his family. I hope he has a speedy and complete recovery, and I wish him and his family strength and healing during this difficult time. You are so naive. Those days are not over, far from it. But presumably the police were like white on rice (no pun intended) & calmed any agitators. Bottom line: Drivers must drive slower & ALL children, including those in our schools, must complete a course – with a test!- on road safety. It should be mandatory, especially as there are many cars on our streets & those bike lanes have made driving more difficult. I’m amazed my children & grandchildren have never received any formal instruction on safety, only what their parents have given them. Oh no!!! We Jews will be praying for him and his family! May he have a speedy recovery!! Boruch Hashem there were no repercusions. I generally watch out for people that might dart out from between two cars as it’s happened to me several times and they don’t look to see if their are cars coming. Boruch Hashem I always managed to stop in time and avoid hitting anyone, but that is because when I drive down local residential streets I DON’T SPEED. I see other drivers speed as though they were on a major thruway, and wouldn’t be able to stop in time. Is there some way that we as the driver’s community can reach out to try to support the family of the injured teen? I am a female of black, Chinese and Indian In my veins within the community. I think it’s ashame we call can’t come together as one. Just as blacks went through slavery, Jews went through the holocaust . Some Blacks assume Jews think their better and some Jews assume blacks are hostile. Either way I teach my children we are all the same, just with different interpretations of the truth, the bible etc….. Whether the teen was running or walking it’s a school zone. Children will be children. No one ever sees things unless it’s done to them. Thank God the driver and the child is ok. When I had drivers-ed in High School (1970’s), in addtion to instructional videos how to drive – as a deterrant to careless driving, they would also show us filmstrips of actual accidents, and what the victims looked like (guts and all).